Damon Johnson Inc. is the right company to call for all your lawn and landscape maintenance needs. 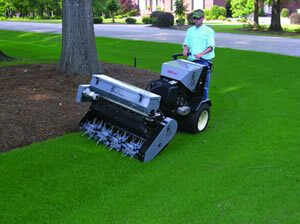 We have decades of experience in the industry, making us experts in all aspects of lawn care and management. We don't compromise quality workmanship even if we offer our services at client-friendly rates. Our people follow systematic procedures, use proven maintenance methods, and use the right tools and equipment to ensure the complete satisfaction of our clients. Please call us today so we can discuss with you how we make lawns look clean, lush, and beautiful all year round. Call us at (405) 341-7998 or visit us at our Edmond, OK office.